Lytro is compelling, fun, and amazing, and while you might question whether the first go is worth the price, you wouldn’t regret the purchase. The Lytro camera is a difficult one to review because it’s nothing like we’ve ever seen before — or like anyone’s seen before, for that matter. Unlike a normal camera that you focus then shoot, images captured with the Lytro can actually be refocused after you shoot. Since the photos first took the world by storm, we’ve clicked and re-clicked, focused and re-focused. While in essence, Lytro has existed in the form of the plenoptic camera, this type of technology hasn’t made it into consumer electronics until now. And while there’s no denying the amazing experience, it’s clear that this is a first iteration of what’s absolutely a promising future. The Lytro’s sensor isn’t like other camera sensors. It’s a light-field sensor that captures 11 million rays of light — not megapixels, megarays. So not only does the camera capture all the light, it captures all of its direction. On top of that it gathers the color and intensity from every angle. Because Lytro can grab all of this data, you don’t need to worry about focusing before a shot. The camera’s processor takes all of this information, and translates it for the software. The software is a big part of what the Lytro team has created, what’s giving users access to the power of light field photography in ways we can understand and enjoy. Lytro’s rectangular box has a nice, heavier feel than you’d expect, and the grip and aluminum pieces have a quality feel. It all looks a little toy-like at first, but it’s surprisingly strong and sleek. There’s a very discreet zoom toggle on the top of the camera. It’s actually quite difficult to see it unless you’re pointedly looking for it, but it’s there. The tactile zoom mechanism controls the 8x optical zoom, and you’ll have to work a little harder to employ this than you might imagine. Other than the zoom, the only other indentions on the Lytro are the power and shutter buttons. And the only indications of there being a designated top and bottom to the chassis are these two things, the shutter standing out slightly more than the power control. There’s also a micro-USB port, concealed by the rubber of the grip. The Lytro also has a wrist strip, and the camera hangs pretty nicely from it. It’s obviously easy to slide into bags or hold in your hand, although while it isn’t cumbersome, it’s definitely unfamiliar — at least at first. There’s no learning curve here. You pick it up, you shoot. The only momentary problem you may have is determining which side of the camera is “up,” but this thing is a simple as it gets. With the Lytro camera, you get a wrist strap and a USB cable. If it hasn’t already been made clear, Lytro isn’t like other cameras. So again, features here aren’t going to read like most reviews do. In addition to Lytro’s 8x optical zoom, there are a few elements users have at their disposal. One, the Lytro’s touchscreen. Perhaps one of the most — and maybe even only — frustrating things is how small the camera’s display is. It’s a measly 1.52 inches, which is tough to work with when you’re used to at least 2.7 inches on most every other camera. The backlit LCD display on the Lytro seems dim and grainy, but that might just be because of its size. That said, the touchscreen is quite responsive. As far as in-camera features go, you have the obvious ability to focus and refocus pictures using the touchscreen, favorite pictures by selecting a star icon (which also imports them first), and pull up a short menu of tools on specific photos in order to delete them. So at this point, you should have a pretty good idea what Lytro is: it’s the first consumer-use light-field camera, it’s a rectangular tube the likes of which you’ve never seen in camera form before, and it’s utterly simple. The real question is what is it like to use this thing? Simply put, it’s simultaneously alienating and easy. Taking a picture is as simple as pointing and clicking — as long as you take time out for composition. Lytro won’t work if you don’t think about things like foreground and background and lining up subjects — you’re welcome to take all the landscape photos in the world, but you’re wasting your time. After a while using the camera, you start seeing things differently; you start to see things in depth, so that they will make nice Lytro shots. That’s part of the beauty of the whole thing: Uninteresting images are interactive and therefore, made interesting. How many pictures of flowers have you seen? How many can you focus and refocus on different flowers within the bunch? In a few instances, the photos… didn’t work. Point, click, and… nothing. Trying to manipulate them via the touchscreen just revealed blurry images. This was extremely isolated, however, and all other shots worked perfectly. Viewing and using the touchscreen indoors was easy and relatively pleasant — outdoors however, presented a different story. It was nearly impossible to be able to tell if photos were focusing or if an image came out as we had intended. Some substance was definitely sacrificed for style. The small screen, hard-to-spot and difficult to manipulate zoom toggle, and nearly invisible power button are symptoms of keep this thing as wieldy and sleek as possible. The exterior is undeniable cool, but it’s not overly convenient. We would rather have a bulkier Lytro with a bigger display and a better zoom function (so that’d we’d actually use it) than smaller one with so many sacrifices. Still, using it is fun, and viewing images even more so. A full gallery of light field photos taken for this review can be found here. It’s both important and pointless to talk about image quality and the Lytro. When things are just right, the results are amazing. If the lighting is good, the foreground and background subjects are placed right, then you’ve got yourself some amazing images. Lytro held up moderately in dim lighting, but anything darker and the results were grainy and noisy. 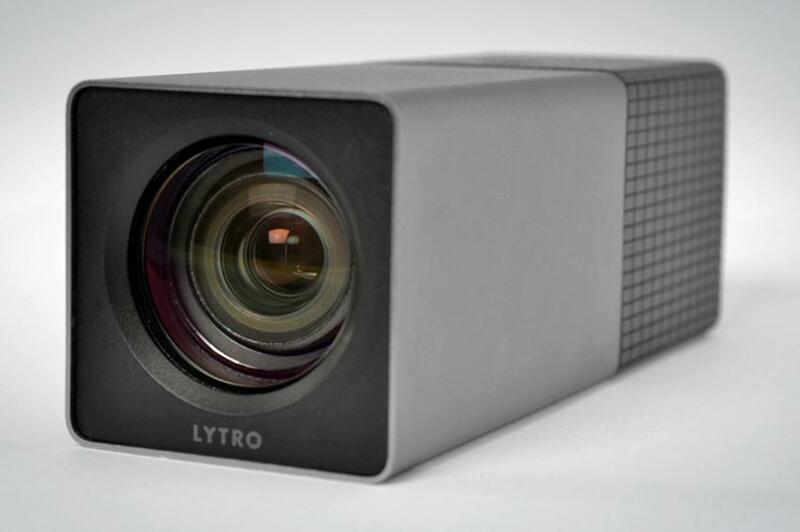 As we said, the Lytro is simple. You can’t control shutter speed or aperture, and there’s no flash. Shutter lag is a not a thing Lytro has to worry about, but if your subject is moving too much, the shot could be easily ruined. This isn’t an all-purpose camera; you’d be better off using your smartphone for quick shots rather than risk using Lytro. The good news is that it’s quite easy to get your good shots — it’s not like you’re waiting for the stars to align, you’re just waiting for some decent lighting. Usually included camera software can be tossed out with the packaging, but that isn’t the case with Lytro. By connecting the camera to your computer via the USB cable, you are able to view and play with your pictures. It feels a bit magical, not only because of the focus and refocus bit, but because you’ve barely seen these photos on the tiny display you’ve been forced to use. From there, you can share photos via Facebook or the Lytro gallery — Twitter also just announced Lytro integration and Google+ supports it as well, so the number of useable sites is growing. The software is fairly bare bones — aside from rotating pictures or picking favorites, there’s not much else you can do. At the moment, this client only works with Macs, but Lytro says Windows capability is on the way. While the application is simple, it’s all you need, and it is a nice way to view, play with, and share your photos. It is also, however, quite slow. Uploading photos takes a significant amount of time — even longer if you choose to delete them from the camera as well. Of course that makes sense, since each photo is 16 MB. 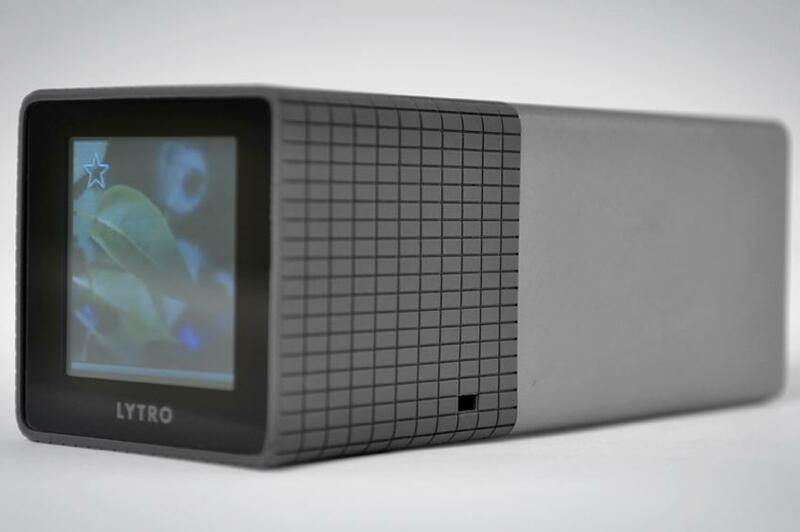 Again, Lytro is making its mark on the Web. Basically any site that supports HTML can use an image’s embed code and make it interactive. And that right there is a very compelling argument in favor of the Lytro camera. Right now, the Lytro is more gadget than camera. It’s without a doubt a first iteration of the product, and it’s a promising one. There’s so much more to come: 3D and Wi-Fi are two upcoming features we know are in the works. But what about a better lens, a better processor? These things would take it from compelling gadget to full-featured, capable camera. At the moment, if it weren’t for price, the Lytro would hands-down be a worthwhile purchase for everyone even remotely interested in digital photography. But the $400 or $500 price tag, depending on storage size, is a lot to ask for. At the moment, after taking it for a few spins, you might be left wanting more and missing your money — that said, there will be firmware updates that give the camera improvements along the way. Still, Lytro is compelling, fun, and amazing, and while you might question whether the first go is worth the price, you wouldn’t regret the purchase.